Ready for video game fun this Halloween? We're hoping you are! 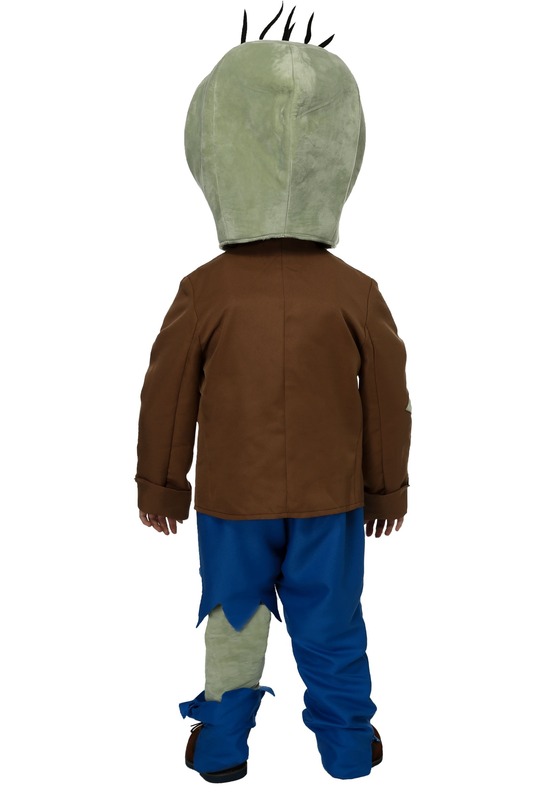 You probably know a thing or two about Plants Vs. Zombies, since you're on this page, but while you're around, we think you definitely oughta further consider getting your kiddo in this Toddler Plants Vs Zombies Zombie costume. It's an exclusive, and that's because we made and designed it right here in our own costume studios. That's right, we teamed up with Electronic Arts to create our own line of officially licensed Plants Vs. Zombies costumes. And we've got them available in sizes for both kids and adults, and now with this Zombie costume, sized just for toddlers, too! That's right, we can get your little one into the action straight from the smash hit video game series. This costume comes with a jacket, shirt front, pants, headpiece, and necktie, all pieces 100% polyester. The shirt front secures with hook and loop fastener strips and ribbon waist ties, and the jacket fits over the top. The pants fit with an elastic back waistband. Just slip the necktie on, it secures with elastic as well, and then complete the style with the detailed headpiece. The soft-sculpted headpiece is oversized for dramatic effect and features a see-through mesh mouth (which will partially obstruct vision). We're all about the costume experience here at Team HalloweenCostumes, and one of our most favorite ways to have a great time is to coordinate group themes. 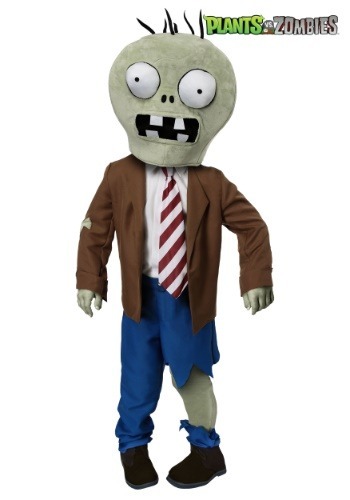 So, what we're saying here is, you definitely should get your entire family into these Plants Vs. Zombies costumes! Send us a few snapshots, too, while you're at it. We always love seeing our customers in action!